Use any salty biscuit for the base. It’s easier to go with square or rectangular shapes. Make sure the biscuits are buttery! 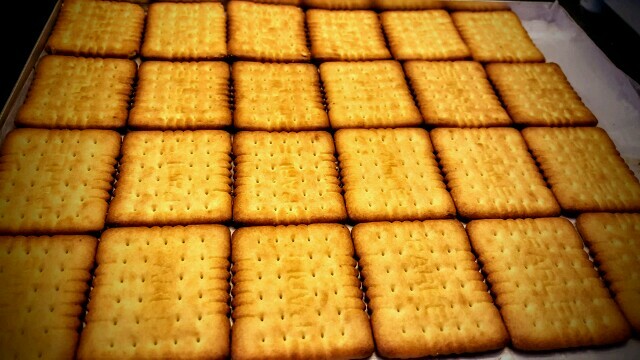 1 Line the biscuits in a baking tray, that been lined with baking paper. 2. Pre-heat the oven to 180 degree centigrade. 3. On a hot plate melt the butter and add the brown sugar and vanilla essence. Keep cooking till the sugar melts and forms a caramel. 4. 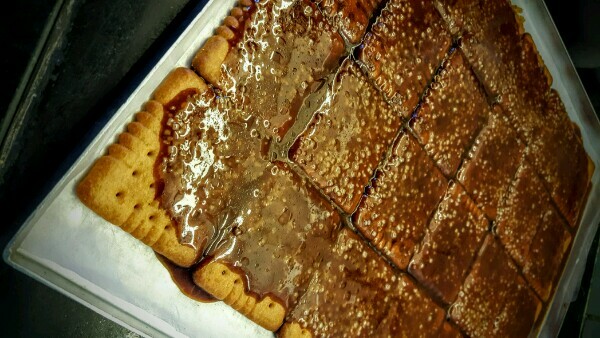 Pour the caramel over the biscuit layer and spread it evenly. 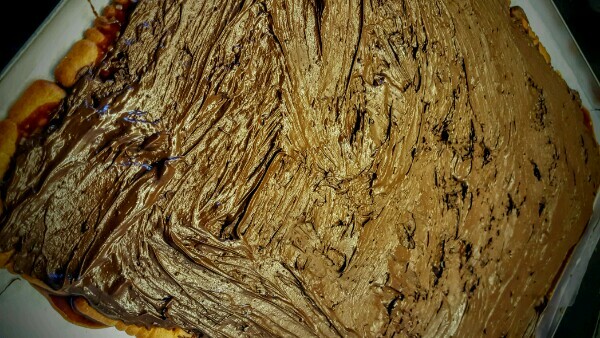 Do not worry about empty spaces as the caramel will melt and spread all over. Place it in the oven for about 7 to 10 minutes. Till the caramel gets a darkish tinge. 5. Temper the chocolate. Once its got a good shine. It’s ready for use. 6. When the caramel is ready, take it out of the oven and pour the hot chocolate over it, spreading it all across the caramel, you need to be really quick with this step. 7. 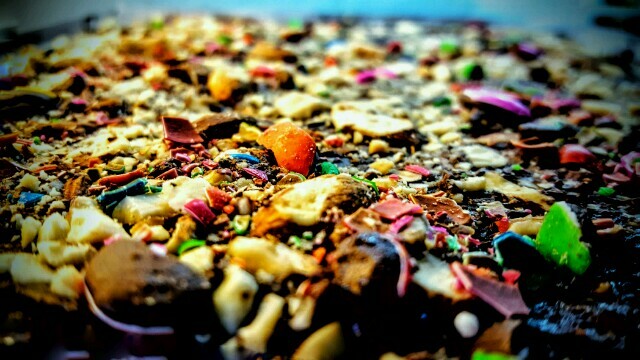 Sprinkle the crushed roasted almonds all over the chocolate. And add a sprinkle of rushed M&Ms too. 8. Let this set in the fridge for 10-20 minutes. 9. 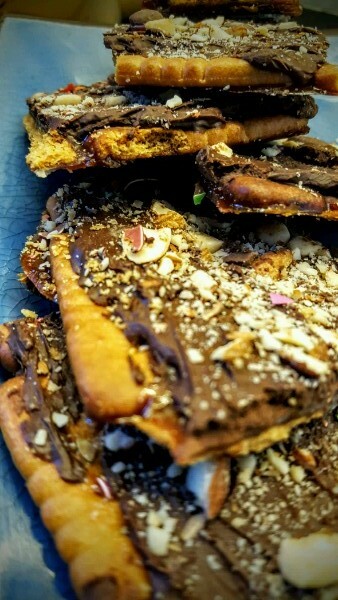 Break the saltine toffee into large bite size pieces and serve. 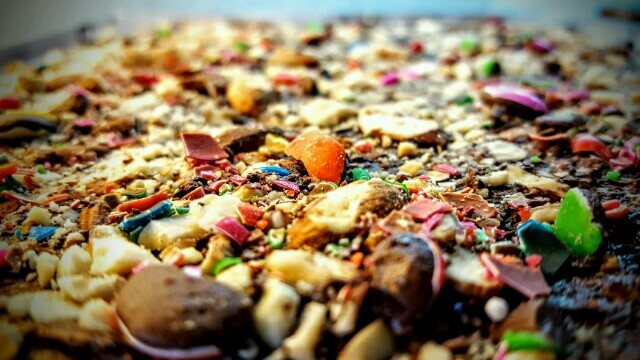 Spread the crushed dry fruits and M&Ms all over the chocolate base and then let it cool. The top needs to look delicious and have a crunch!